After making the panels I proceeded with the rest of the box. 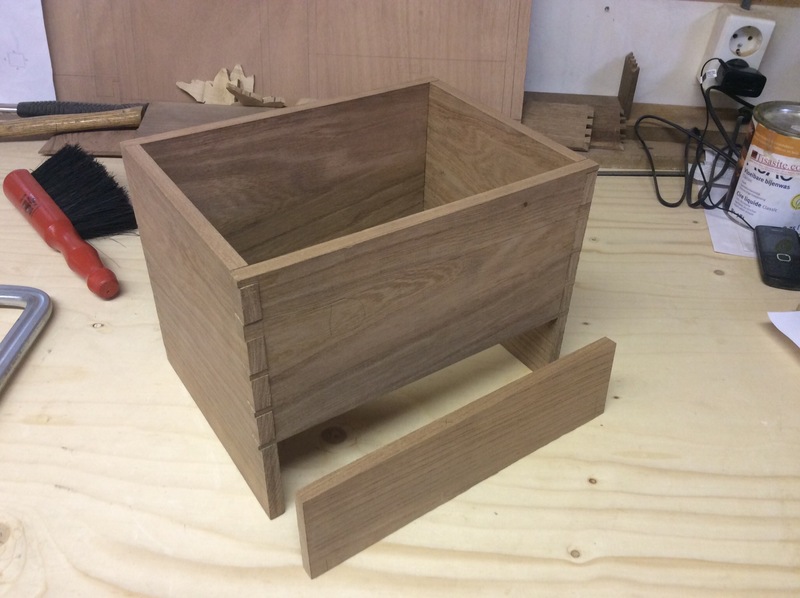 I laid out the dovetails, taking into account that I would be sawing the box in two. This meant slightly oversizing the dovetails that the saw was going to pass through, allowing for the thickness of the saw and some room for error (2mm in total). I also cut the drawer front out of the front panel of the box, since I wanted the grain of the drawer front to match the rest of the front. Glueing up the box was tricky. I didn’t heed the six P’s sufficiently. I forgot to check my box was square before glueing! 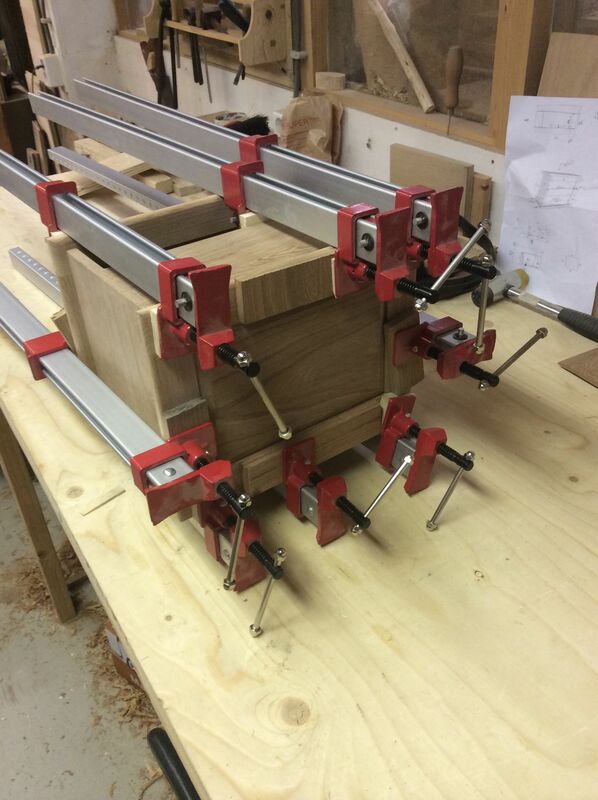 I only remembered this after the clamps were on for a couple of minutes. This meant doing a lot of fiddling while the glue was setting. Another lesson learned. Next, I attached the top and bottom frames. I decided to glue both top and bottom at once but won’t be doing it like that again. There was too much sliding around and getting the top and bottom to align perfectly together was way too fiddly. Next time I’ll glue the top and bottom onto the box one at a time. 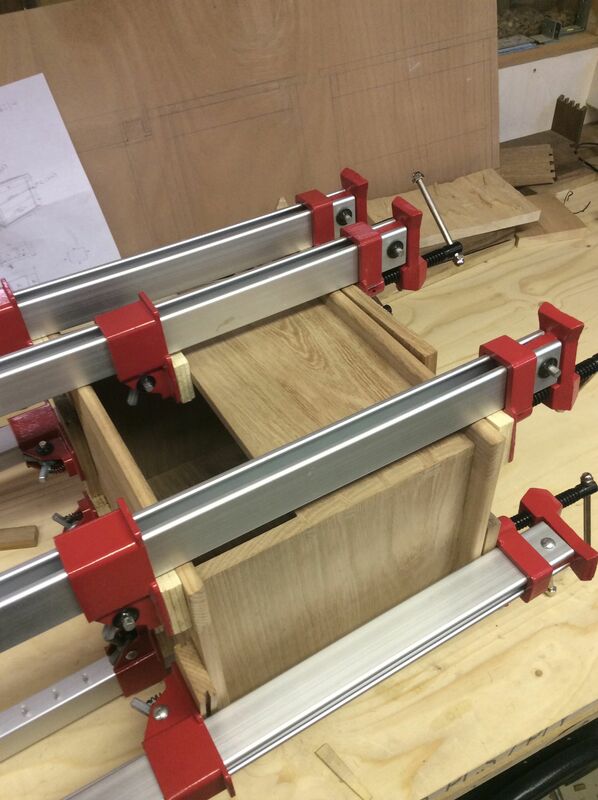 Glueing up the box: you can never have too many clamps!